On the facade of Lövstabruk manor house, by the church altar, and at other places too around the settlement, visitors can see the red-and-white De Geer coat of arms, with its French motto ”Non sans cause” (Not without cause). Its restrained form is beautiful and uncommonly significant too. time several branches of the family developed. The one associated with Lövstabruk came to spell their name de Geer, with a lower-case letter d.
Louis De Geer and his wife Adrienne Gérard in the manor-house drawing room. left: portrait by David Beck. right: copy of a 17thcentury painting by an unknown artist. photo: Gabriel Hildebrand, 2018. Louis De Geer, who founded the family in Sweden, was a banker and merchant. 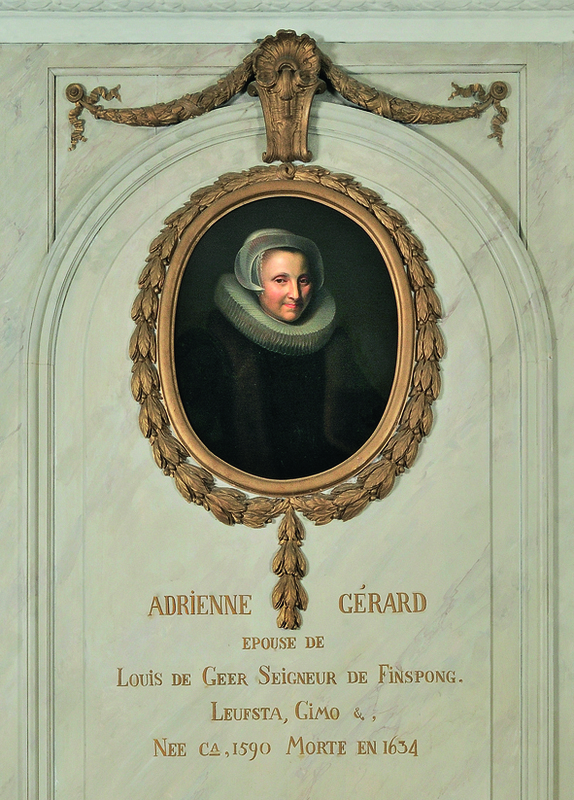 He and his wife, Adrienne Gérard (1590–1634) moved from Dordrecht to Amsterdam, where he built up commercial and financial businesses. Money he lent to the Swedish Crown enabled him to lease the works. He became a Swedish citizen in 1627 and was able to buy Lövstabruk in 1643, in the midst of the Thirty Years’ War. It is doubtful whether he or his wife ever visited the area, although the manor-house dining room contains portraits of them both. 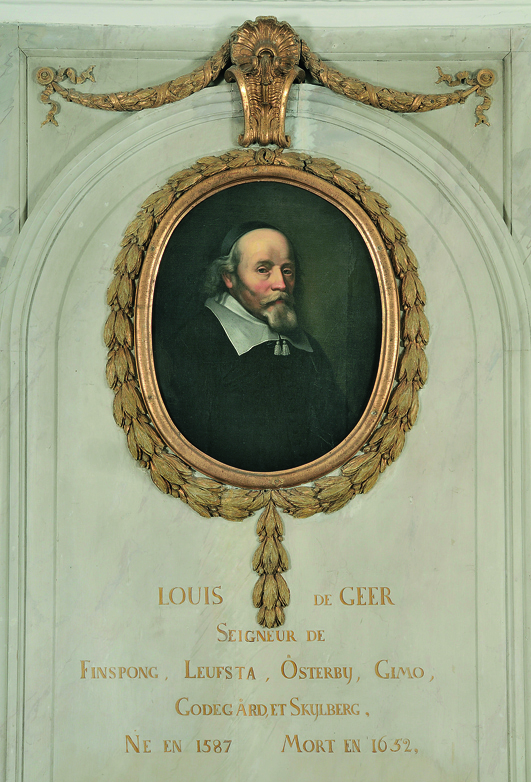 In 1641 Louis De Geer was raised to the Swedish nobility, which greatly enhanced his later career in the country. Portraits of the earliest owners and their wives decorate the manor-house dining room. photo: Gabriel Hildebrand, 2018. Geer at Finspång in 1642. At Lövstabruk a school soon opened that accepted girls too, another example of De Geer’s commitment to child-rearing and education. On De Geer’s death in 1652 Lövstabruk was inherited by his son Emanuel De Geer (1624–1692). He expanded the works, and in 1668 bought the forge owned by the local farmers and thereafter Tobo. By the 1670s Lövstabruk was the biggest ironworks in the country. Emanuel never lived at Lövstabruk either. Instead the works were run by skilled managers. Lövstabruk before the Russian attack. Painting at Lövstabruk manor house. photo: Gabriel Hildebrand, 2015.
should recover too, invested in Österlövsta and Karlholm. This commitment was rewarded when he was appointed county governor. When Charles De Geer died in 1730, most of the inheritance was passed on to a nephew, also named Charles, as a fideikommiss (or fee tail, a legal trust to ensure an estate remains in the hands of a single heir). The nephew’s elder brother Louis (1705–1758) had already inherited Finspång. Charles De Geer (1720–1778) grew up in Utrecht where he received an excellent education. His main interests were science and technology. At the age of 19, in 1739, he came to Lövstabruk for the first time, and two years later, in 1741, he assumed control of the complex. Works director Eric Touscher had received him in 1739 with a long welcoming poem, giving the young proprietor an idea of the expectations that awaited him. Charles De Geer is known to posterity as a prominent insect scientist, the founder of the great library at Lövstabruk manor house, and a member of the Royal Academy of Sciences. He was the first family member to marry a Swede, Catharina Charlotta Ribbing (1720–1787), and the first Swedish aristocrat to vaccinate his children against smallpox. For the rest of his life, until his death in 1778, he lived at Lövstabruk manor house, whose lavish design reflected the tastes of the day. The manor house was the scene of a varied social life, where music played a vital role. Charles De Geer was succeeded by his eponymous son Charles De Geer the Younger, who was born in 1747. 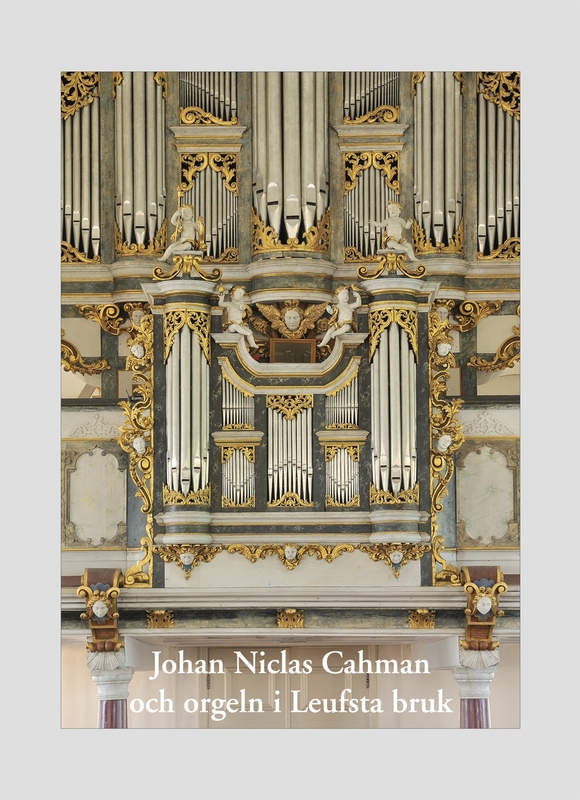 He was active in politics, critical of the autocracy of Gustav III and, in his role as a royal chamberlain, enjoyed great influence in Stockholm. Lövstabruk after being rebuilt in the 18th century. Pen and ink-wash illustration by Daniel Tilas, 1762. Uppsala University library. On his death in 1805 his son Carl (1781–1861) inherited a greatly expanded estate. He too was active in the political life of the capital, becoming Lord Marshal at the House of Nobility and a count. Adding to the family’s possessions, buying estates in Scania and Södermanland, he became known as the richest man in Sweden. Yet at this time the manor house lost something of the role it once played when his father and grandfather were alive. Carl passed the fideikommiss on to his uncle’s grandson, Carl Emanuel “Manne” de Geer. missed by the local inhabitants, who considered that an era had passed. monument, open to the public.